Aided by a rich climate of four seasons, Japan commercially produces and distributes a diverse selection of high quality flowers and plants for the world. 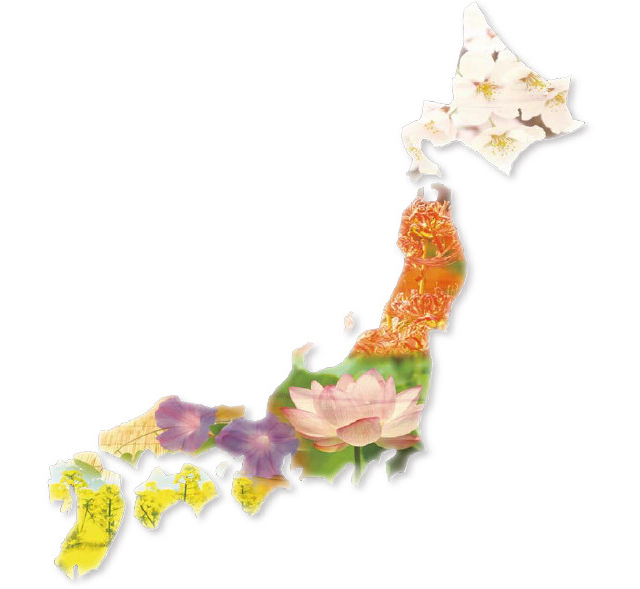 The flowers and plants industry accounted for 4 % of all Japanese agriculture revenue in 2013 with an output value 378.5 billion yen . The flowers and plants is an exciting sector of the next generation of agriculture professionals. There are numerous young and upcoming producers in Japan. With a history of more than 500 years, the flowers and plants of Japan inherited rich traditions that included ikebana and bonsai. The symbiosis between urbanization and nature is a great global challenge of the21sit century. "Horticultural craft" and "Floral culture " of Japan have continually developed during the 400 years since its origin in the Edo Era. In 2023,the Japanese Ministry of Agriculture ,Forestry and Fisheries enacted the "Flowers and plants Promotion Initiative" that established basic policies to nurture the flower and plants industry and culture Along with the overall promotion of horticultural exports, this initiative seeks to spread awareness to a global audience of the unique Japanese flowers and plants culture. This article introduces both the current status of Japanese horticulture production and exports as well as the main flowers and plants that are the pride of a rich cultural history.